The super fine tip on this brush allows for improved precision work, in addition to distributing the right amount of liquids to a small area. The lint-free brush tip coats eyelashes without the hindrance of cotton particles that can become lodged around the attachment area. Its absorbent tip holds liquids securely without dripping and also bends easily for greater control. 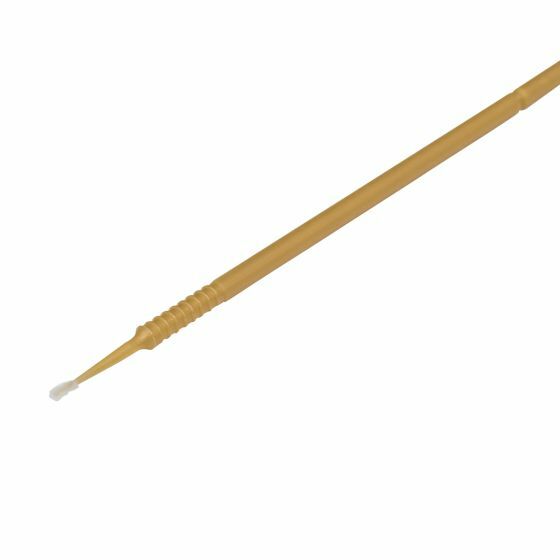 Also ideal for removing a single eyelash extension that was placed incorrectly without disturbing the surrounding lashes. 1mm tip.